Delta, a pioneer in display and monitoring solutions, successfully installed its display solutions at Hefei Traffic Command Centre, China. Delta provided an updated 67 inches DLP® Video wall comprising 5 rows × 11 columns for the 2nd phase of Hefei Intelligent Command Center. This display solution integrated with Delta’s advanced Distributive Vision Control Systems (DVCS®) gives operators’ remote access to control surveillance cameras, signal invocation and alarm trigger signals. With the help of this Delta display solution the users are able to view and monitor the operations, enabling a highly centralized and integrated traffic command center. The government of Hefei City wanted to streamline their traffic control processes. 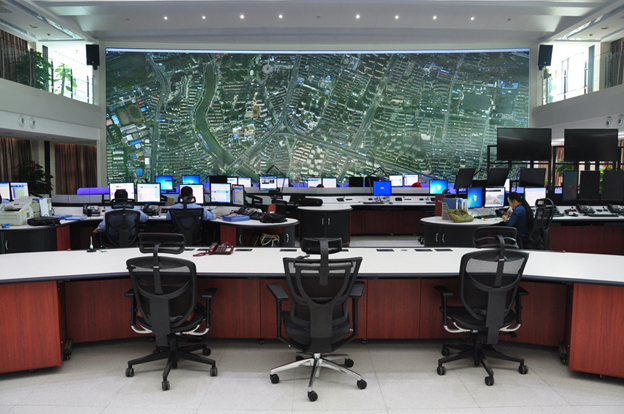 To build an intelligent traffic command Centre, Delta installed its most reliable 67” DLP® Video wall for municipal government of Hefei City. After upgrading the displays, the 2nd phase of Hefei Intelligent Command Center integrated original video equipment with the new video surveillance equipment in order to achieve a full range of real-time road intersection and road section monitoring within the Second Ring of the city. The upgraded command system can better monitor traffic lights, enabling operators to monitor and control signals at junctions, as well as send commands to the traffic signal control system. In case the traffic lights experience a failure, notifications can be displayed immediately along with the fault conditions, making it convenient for the traffic control room operators to identify and repair the issue swiftly. With the help of Delta display solution the users are able to view and monitor the operations, enabling a highly centralized and integrated traffic command center.